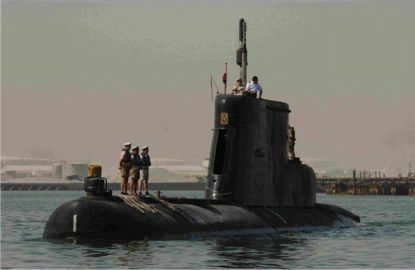 SÆLEN is here seen in Bahrain, June 2003. 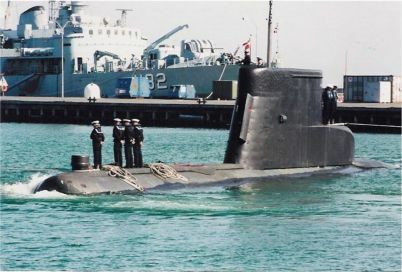 The submarine SÆLEN is here seen departing Naval Base Frederikshavn enroute to join the NATO Task Force in the Mediterranean area in 2002. In the background you could see the mine layer MØEN. 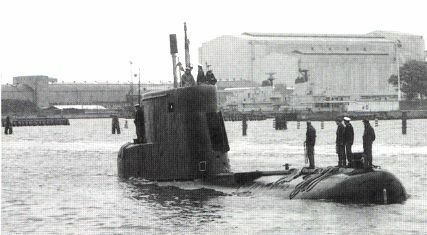 The submarine SÆLEN is here seen entering Holmen in Copenhagen.